Congratulations to PJ Talty of Mace Lisseycasey in Co Clare on winning a voucher for the Twelve Hotel in Connemara. PJ recently attended the BWG Trade Show which was held in the Convention Centre in Dublin and attended the draw to win this fantastic prize. 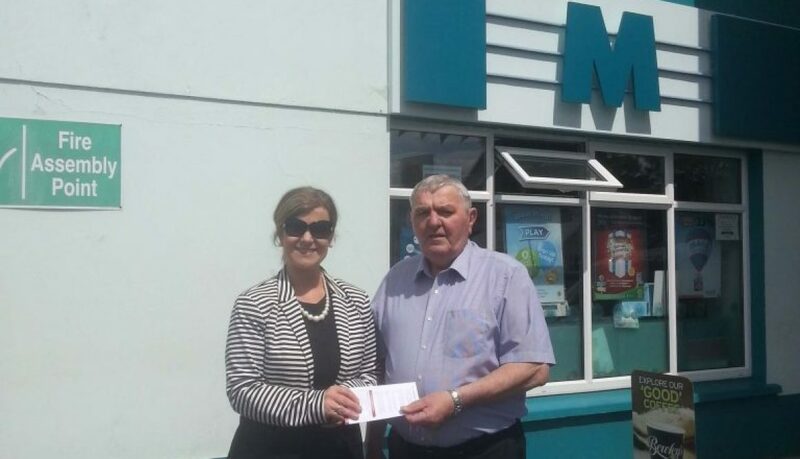 Pictured above is Sharon Kelly, Business Development Manager with Stocktaking.ie presenting his prize to PJ Talty.